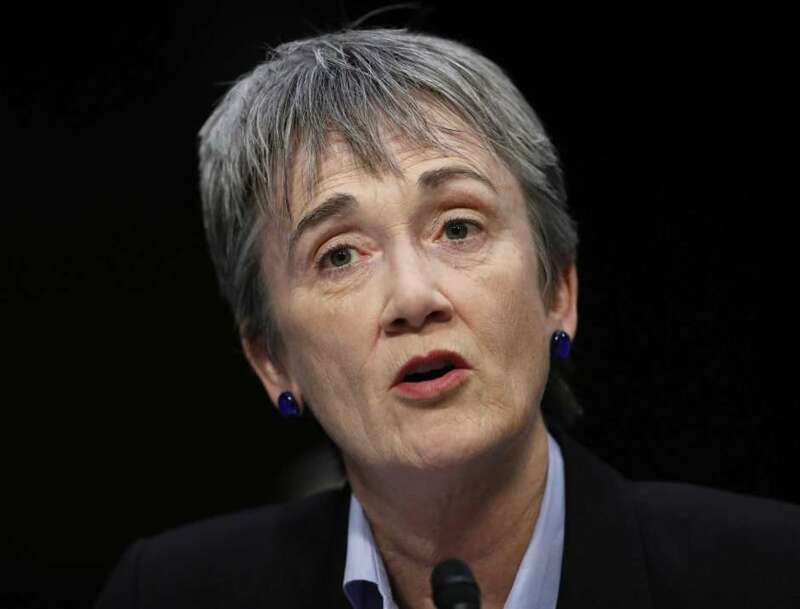 In this Dec. 6, 2017, file photo, Air Force Secretary Heather Wilson testifies during a Senate Judiciary Committee hearing on Capitol Hill in Washington. An internal Air Force document, written by Wilson, says President Donald Trump's planned creation of a Space Force could cost nearly $13 billion in its first five years. A copy of the Air Force memo was obtained Monday by The Associated Press.